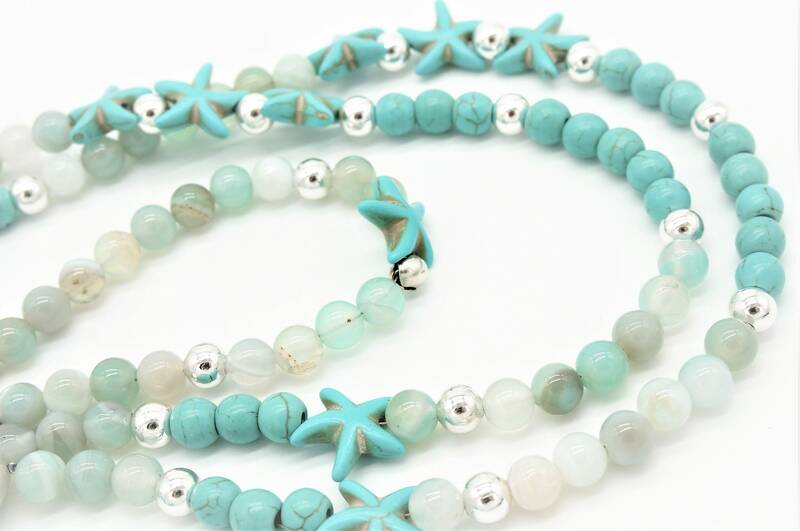 Mala in turquoise tones with silver. 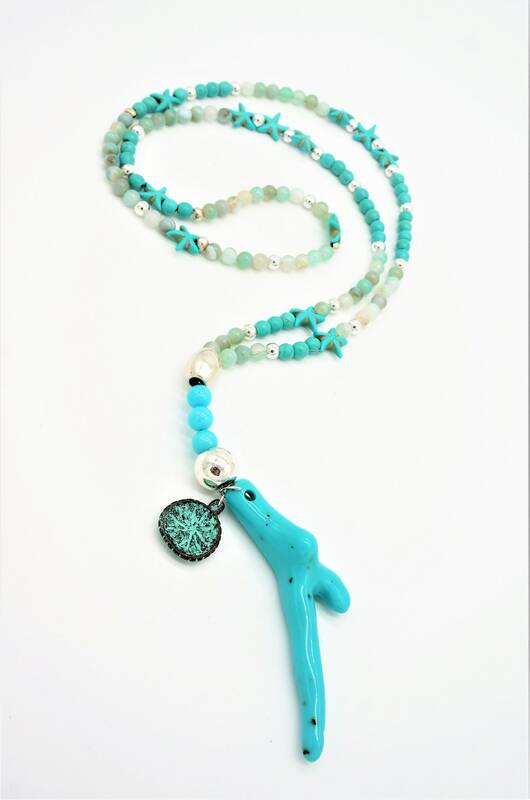 The handmade long pearl necklace in the trendy Boho style consists of genuine jade beads and small turquoise starfish beads made of acrylic. 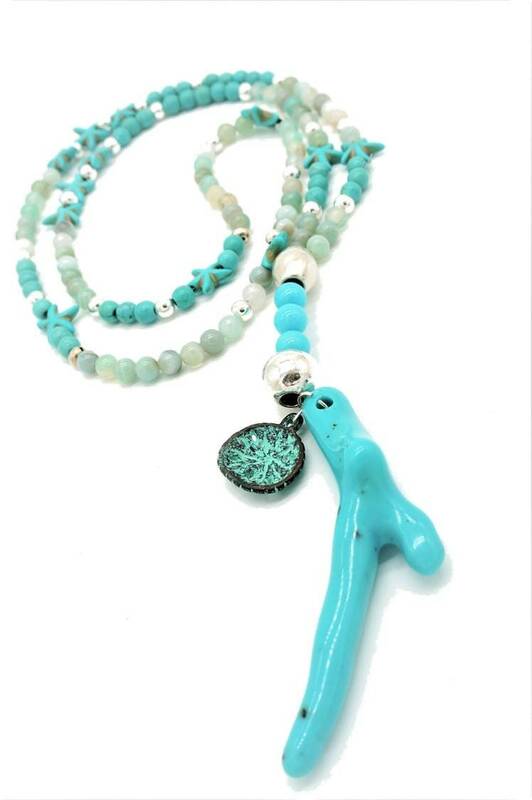 The large coral pendant is also made of acrylic. 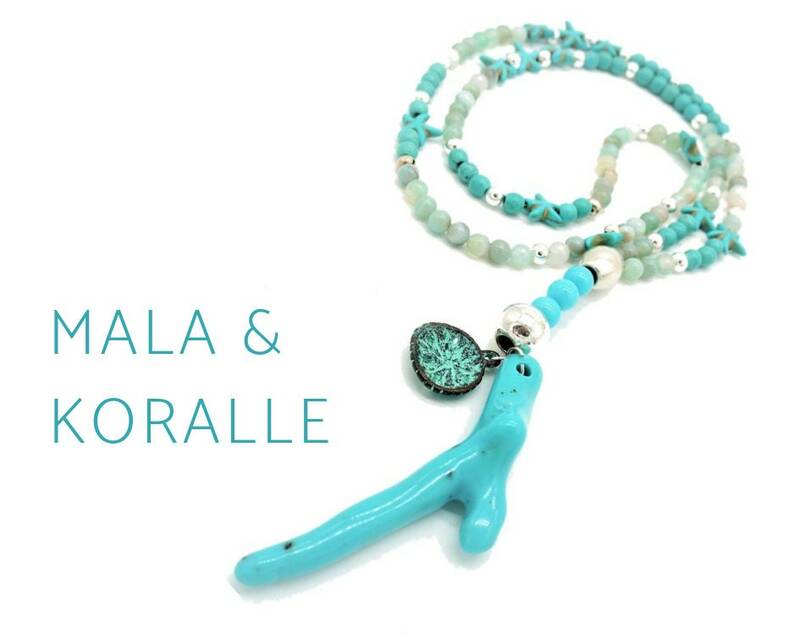 Other elements are silver-plated beads in different sizes and a coin pendant with turquoise patina. 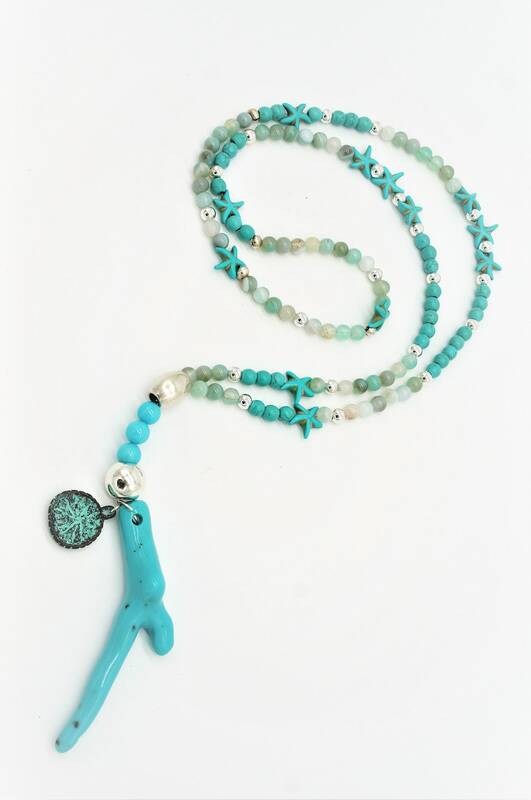 The chain in Y-shape is a total of 92 cm long, the coral pendant measures approx. 8.5 cm. This handmade unique item is shipped as a gift wrapped in a organza bag. Delivery time within Germany: 2-3 days from payment.